How to block website without using any special software in your computer. In this article I try to helps you how to prevent your child or teenager from seeing certain websites like Social networking sites, Auctions sites, Political sites, YouTube, Adult sites, Finance sites, News sites or chatting online, go to the Family Safety website and choose an appropriate filtering level for your child. In fast growing Information Technology, lot of parents write to us & want to know that they are very worried about his or her young children’s are spending too much time on watching these websites like Orkut, MySpace and Facebook. They are worried about children’s to wasting lots of time on the Internet. Parents or guardian is always worried about children’s that they don’t share personal information with online strangers. Easily block website on any computer. Step 1. Click on the Start >>> Click Run command or Press WIN+R key to open Run box. Step 4. Open this file in notepad program in notepad program by pressing right mouse button on this file >>> Click “Open with” option >>> Click on the “Notepad” option. If you want to block other website to open on your computer then type address below this line, now after making all change save and close this file. When next time you or any other want to open these website on your computer that site will not be longer accessible. For every site after that you want to add, place the cursor at the end then type “1” to the last number in the your internal Internet Protocol (127.0.0.2). 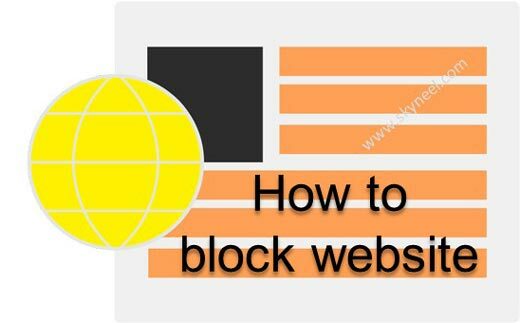 I hope you like this block website guide from which you will be able to easily block website without any extra efforts. If feel any problem in this guide then please use comment box. Thanks to all.